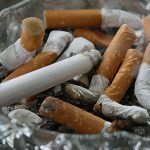 Smoking is one of the leading causes of disease and death in Australia, killing around 15,000 people each year and costing the country around $31.5 billion. In a bid to tackle these issues, Australia led a world-first initiative which saw all cigarettes sold after 1st of December 2012 packaged into standardised plain, olive green cartons free from logos or other branding. The measures were introduced alongside stringent advertising restrictions and tax laws with the intention of making smoking less attractive to young people, while at the same time encouraging existing users to kick the habit. Earlier this week, the British Parliament voted to introduce plain packaging legislation, which will see similar packaging laws coming into effect in the United Kingdom from 2016. 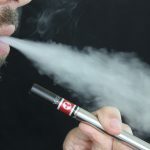 While the move was applauded by public health professionals, it has attracted criticism from major players in the tobacco industry, who have argued that the new packaging laws have done little to prevent tobacco consumption. But are these arguments justified, or has plain packaging been an effective and necessary step in the fight against tobacco-related health issues? Although Australia was the first country to introduce plain packaging requirements, the measures had been considered, but not implemented, by other countries including New Zealand and Canada in previous years. 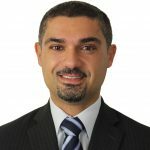 When the Australian Government first proposed the legislation, it was predictably criticised by tobacco companies on the basis that there was no conclusive evidence regarding its effectiveness. That criticism was maintained despite a review by the Cancer Council in 2011 which suggested that plain packaging would discourage young people from taking up the habit. The study showed that cigarettes packaged in plain cartons were perceived by young people to be less attractive, and that in some cases, plain packaged cigarettes were even perceived as tasting worse – despite no changes to their composition. Plain packaging was also seen to increase negative perceptions and feelings about smoking, and resulted in young people smoking less in social situations. The findings had an influential impact on the government’s decision to introduce the laws in December 2012. Has Plain Packaging Been Effective? After the introduction, tobacco giant Phillip Morris, which manufactures products such as Marlboro cigarettes, launched legal action against the Australian government, claiming that plain packaging laws were ‘unconstitutional.’ However, in a move that was seen as a major victory for the health industry, the High Court upheld the validity of the laws. 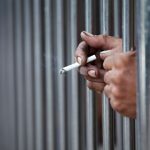 Tobacco companies have expressed their disappointment with the outcome, arguing that it is a ‘bad piece of law’ which will only benefit criminals selling illegal cigarettes around the country. The companies have also dismissed claims that plain packaging has been effective in reducing tobacco consumption. 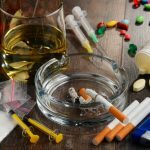 However, statistics released earlier this year by the Australian Bureau of Statistics suggest that the new measures have had a dramatic impact on curbing tobacco use. The figures show that tobacco consumption has fallen to record lows, as evidenced by the amount spent by Australians on tobacco products. In the March quarter of 2014, Australians spent $3.405 billion on tobacco products, compared to $3.508 billion in December 2012 – just after the new laws were introduced. That drop was greater than in the years immediately leading up to the new laws. There has also been a drastic reduction in the number of young people who smoke daily. In 2013, 12.8% of young persons over the age of 14 reported smoking daily, down from 15.1% in 2010 and 25% in 1993. The number of young adults aged 18 or over that smoke daily has decreased from 15.9% in 2010 to 13.3% in 2013. These statistics appear to suggest that the new plain packaging laws have worked as intended in curbing tobacco consumption, particularly amongst young adults. However, despite these promising results, the government has not released data to show that tobacco sales have decreased because, they say, that data is not available. Should the Government Control Tobacco Consumption? 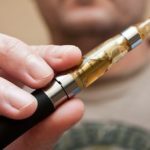 While the majority of non-smokers support the government’s efforts, many smokers and civil libertarians argue that they represent an incursion into personal freedoms and rights. 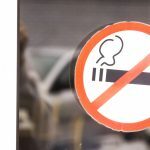 Smoking has already been banned around office buildings in Sydney, and other councils have cracked down on smoking in public places. The Cancer Council has also called for smoking to be banned in apartment complexes to reduce the risks associated with passive smoking. These measures have been complemented by hefty tobacco excises of 12.5% each year. These people argue that individuals should be allowed to take personal responsibility for their actions, including any health risks posed by smoking habits. Senator David Leyonhjelm of the Liberal Democratic Party has slammed anti-smoking laws, arguing that the annual profits from tobacco taxes are 17 times higher than the costs associated with fighting tobacco-related illnesses. However, these claims fail to consider the harmful effects of passive smoking, as well as the massive cost to the healthcare system. Only time will tell whether anti-smoking measures like plain packaging will have a significant, long-term impact on the smoking habits of Australians.